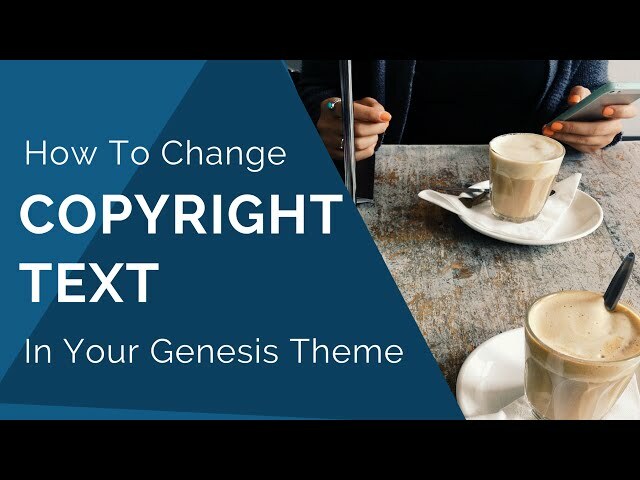 How can you change the copyright text in your Genesis child theme in WordPress? In this video, learn how in less than 10 minutes, step-by-step from scratch. I hope this video is helpful to you. Did you enjoy this video? If so, please share this video with friends, "like" and let me know in comments below. 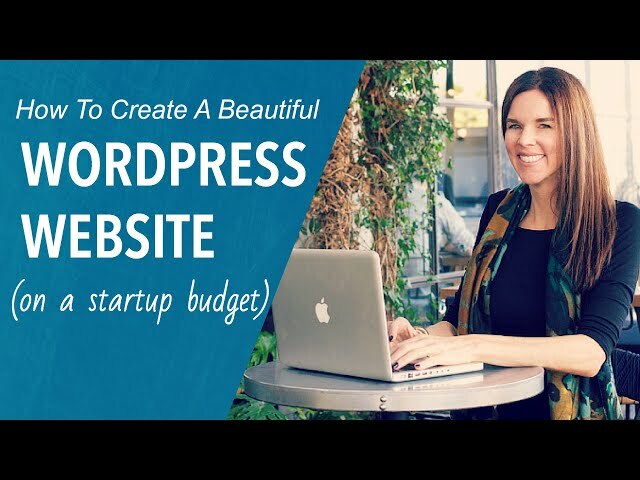 Learn how to create a gorgeous WordPress website for your business, step-by-step from scratch in this video. Want lots of images throughout your website? This website features unique banner images on the homepage, internal pages and blog posts - you're covered! I'm using "InstantWP", a free WordPress theme, by GentsThemes in this video. If you need a professional website on a budget, this theme is an awesome theme to use. Learn how to install and set-up the plugin, Contact Form 7. I'll walk you through the steps and show you the important setting that need to be updated. If you're not receiving your emails, this video is for you. 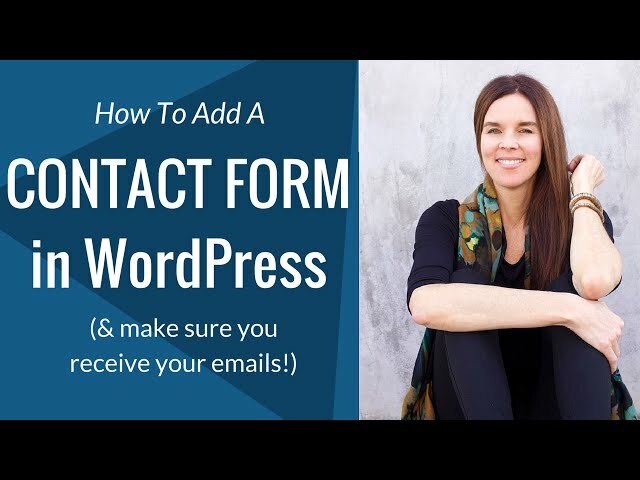 After completing this tutorial, you'll have a gorgeous website featuring calls-to-action that direct visitors to your products and services, as well as a customized email opt-in form to capture leads. In this video we'll also be customizing the styles and appearance to match your brand. 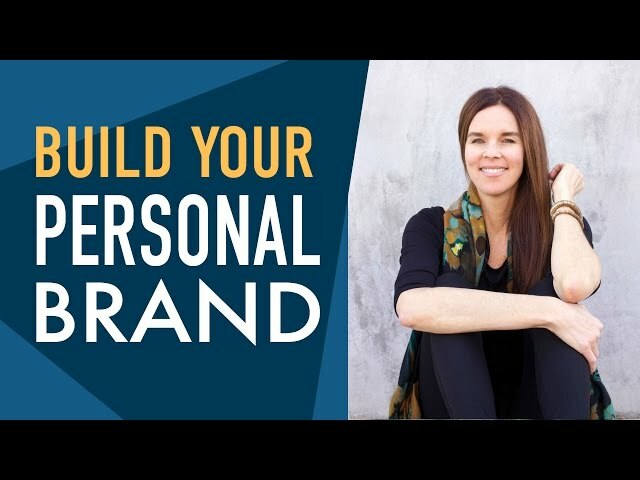 This website is an especially great design for coaches, consultants, job seekers, students seeking internships and anyone who wants to establish an online personal brand. This website presents your info in an elegant, minimalist way. If you are drawn to a web design that features lots of visuals and images, this design may be a great fit - the homepage and blog archive page especially are focused on images. If you need a domain and hosting for your website, I recommend Hostgator. Feel free to use my coupon to get a discount. The coupon code is: wpcoupon25. How can you increase sales and conversions on your website? How to improve user navigation to help your visitors find your products or services easier? Add a call-to-action button to your website! 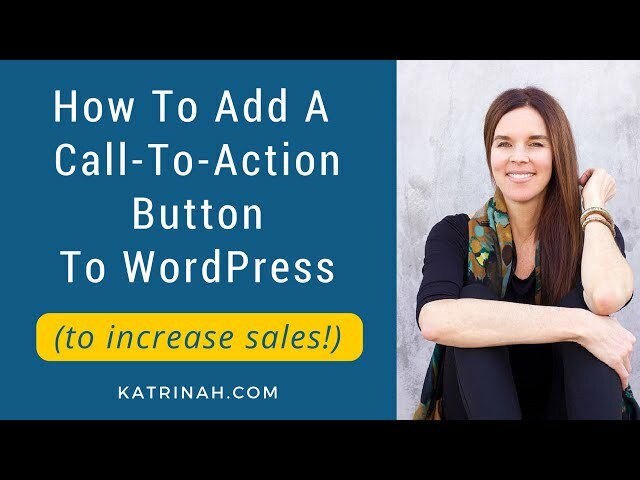 In this video, learn how to create a custom call-to-action button that helps you to increase sales and capture leads. I'm using the MaxButtons plugin for WordPress by MaxFoundry. Hope you enjoy this video tutorial! Was this video helpful to you? If so, please "like" and share this video with friends! 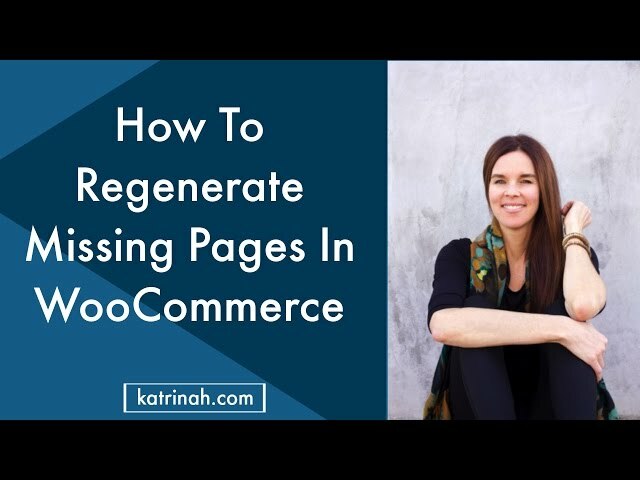 Do you need to re-create missing WooCommerce pages in your WordPress online store? If so, this video is for you - I'll show you how to create essential pages in WooCommerce in 3+ minutes. Specifically, we'll be creating the Shop page, Cart page, Account page and Checkout page. These pages are usually created automatically when you install and activate WooCommerce. Sometimes, however, things don't go as planned. So if these pages are not automatically created for you, I've got you covered. Follow my steps for another way to create these key pages. Please let me know how these steps work for you. For updates on my next video tutorial, please subscribe. 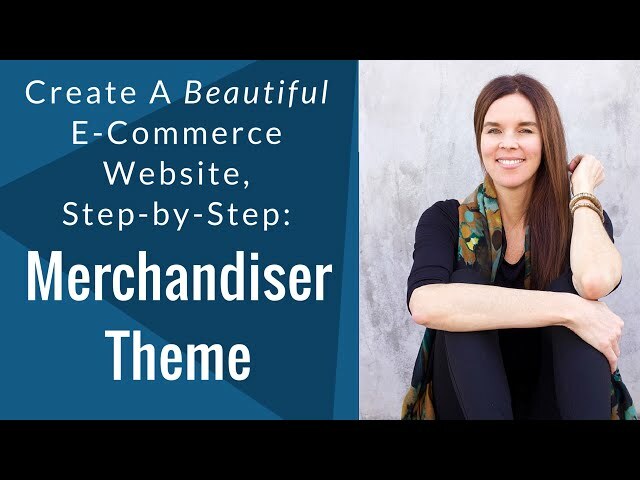 Learn how to create a GORGEOUS e-commerce WordPress website using Meadowbrook theme by Angiemakes. This is a gorgeous theme with a clean design and a strong focus on visuals and photos, which is important for e-commerce websites. This video tutorial is for beginners looking to build an online business via an e-commerce store. No coding experience necessary. 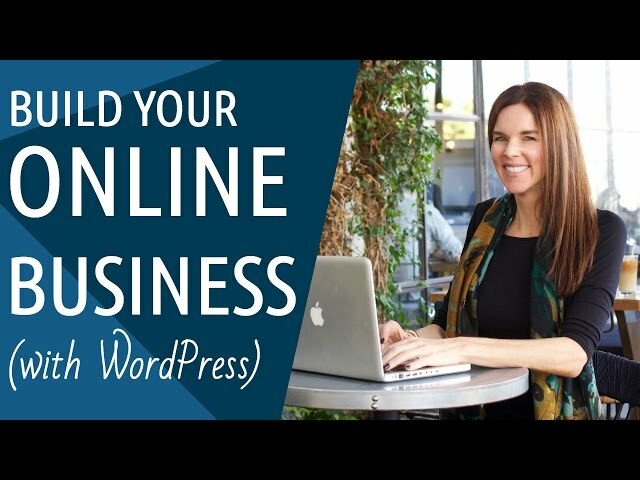 I show you how to create this e-commerce WordPress website from scratch, step-by-step. In addition to Meadowbrook WordPress Theme, we're using WordPress & WooCommerce and for web hosting, I'm using Hostgator. Save $ on web hosting at Hostgator. * affiliate link, thank you for your support. I use Hostgator for my own websites and only recommend products I trust. Learn how to add Google Analytics to your WordPress website, step-by-step. Want to know how visitors are finding your website? Which pages are most popular? How long your visitors are staying on your site? 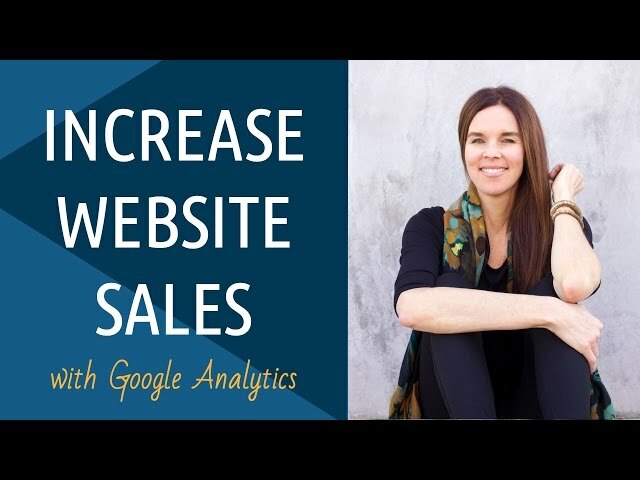 With Google Analytics you can find out all of these things, as well as other important insights that can help you increase sales and conversions on your online business. Thank you so much for watching. I hope this video is helpful to you! Save $ at Hostgator when you use my exclusive discount. Use coupon code "wpcoupon25". For month-to-month web hosting, use coupon code "1monthbonus". 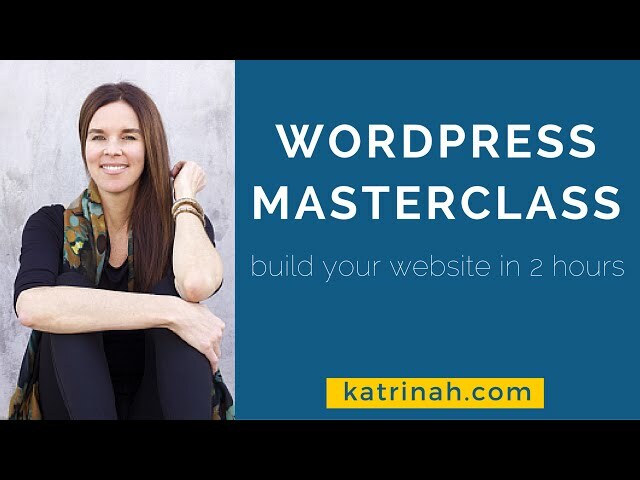 Learn how to create a WordPress website and build your personal brand online with a simple one-page website - for less than $25. In this tutorial, we'll create a one-page website that features the essential elements you need to establish yourself online as an expert in your niche. A one-page website is designed to focus on one thing - your personal brand, your app, your product or your expertise. The minimalist design of a one-page website keeps your visitors engaged and provides a fluid user experience. Both of these things are helpful when it comes to getting more sales and conversions. Looking for a new job? A one-page website can help you highlight your background and skills in a way that a resume alone cannot. Create a one page website to tell your professional story. Are you a freelancer on Upwork, Elance or Freelancer.com? A one-page website can help you establish credibility and stand out from the crowd -- which can help you get more gigs and opportunties. Or, want to showcase your personal brand online? A one-page website design is a perfect option to consider. Hope you enjoy this tutorial. Big thanks to the team at Themeisle for generously providing this beautiful one-page "Zerif Lite" WordPress website theme to all of us in the WordPress community. Check out premium themes with extra features at: http://katrinah.com/themeisle. Learn how to backup your WordPress website to Dropbox, Google Drive or another cloud service - really easily - AND restore your WordPress website using your backup with just one click. In this video I'll walk you through the steps. I'm using the #1 backup plugin in the WordPress plugin library. 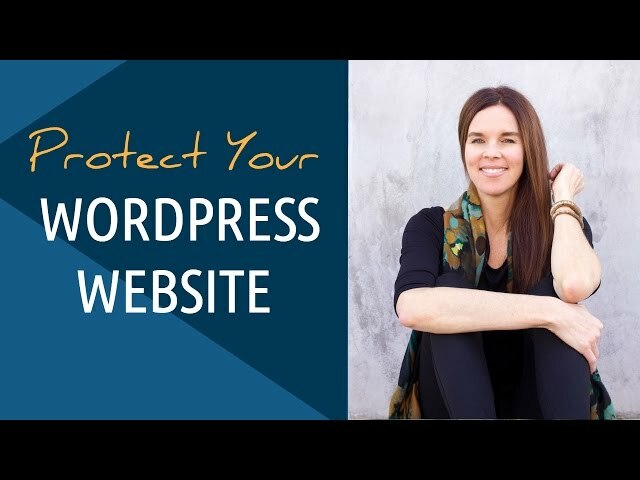 Get peace of mind: in just 10 minutes, you'll have your WordPress website backed up and protected. In this week's YouTube Q&A, I answer Michelle's question. Michelle asks, "How do I create a pricing table on my WordPress website that links to a landing page or payment page?" Great question, thanks Michelle! 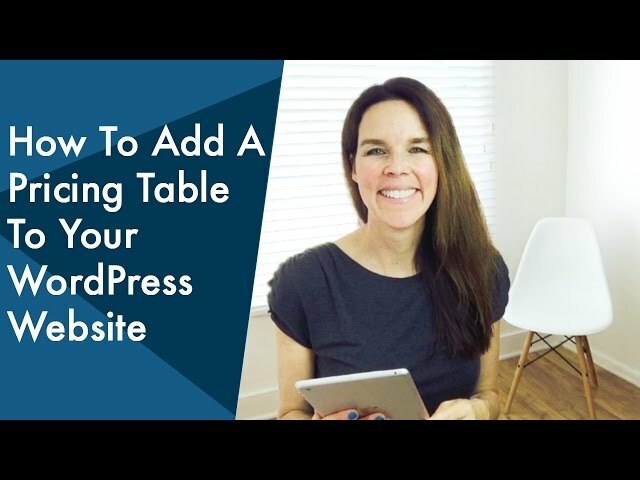 Hope this video is helpful to you and to everyone who wants to add a pricing table to your WordPress website.